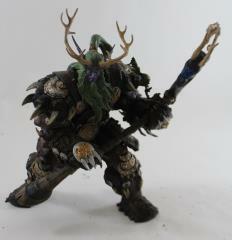 This is an action figure and has no connection to the World of Warcraft MMORPG other than the name and the theme. This is not a sale of any of Blizzard Entertainment's intellectual property associated with the Video Game. To be clear, no in game property for the World of Warcraft is being sold. A highly detailed, masterfully painted figure drawn straight from the World of Warcraft universe.